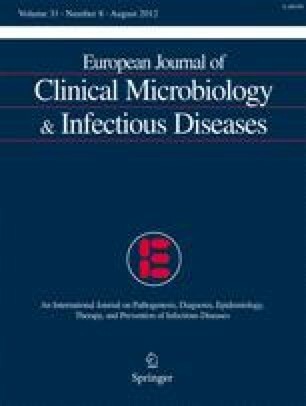 The purpose of this study was to investigate the impact of fluoroquinolone resistance on the existence and dynamic of MRSA clones. Resistance to ciprofloxacin was induced in strains of community-acquired (CA) MRSA from various sequence types and the fitness cost suffered by mutant derivatives measured in a propagation assay. In addition, the fitness of fluoroquinolone resistant health care-associated (HA) MRSA isolates from major clones prevalent in Hungary were compared with each other and with those of the CA-MRSA derivatives. The genetic background of fluoroquinolone resistance and fitness cost in CA-MRSA was investigated. The fitness cost observed in the CA-MRSA derivatives proved diverse; the derivatives of the ST30-MRSA-IV strain suffered significantly greater fitness cost than those of the ST8-MRSA-IV and ST80-MRSA-IV isolates. Strains from the New York–Japan (ST5-MRSA-II), South German (ST228-MRSA-I) and EMRSA-15 (ST22-MRSA-IV) HA-MRSA clones proved more viable than CA-MRSA derivatives with similar MIC values to ciprofloxacin and HA-MRSA strains from the Hungarian/Brazilian clone (ST239-MRSA-III). Our strains from the New York–Japan, South-German and EMRSA-15 clones seem to have a competitive edge over the tested CA-MRSA isolates in the health care setting. The greater fitness observed in our New York–Japan and South-German strains could account for the replacement by them of the Hungarian/Brazilian clone in Hungary about ten years ago. Alterations in relevant genes were detected. The Ser80 → Phe mutation in the grlA gene may have seriously compromised viability. Surprisingly silent nucleotide substitutions in the grlB gene seemed to impact fitness in derivatives of the ST30-MRSA-IV isolate. Parts of this material were presented at the 16th International Congress of the Hungarian Society for Microbiology, July 2011 (BOP-9). The study was financially supported by the Hungarian National Scientific Research Fund (OTKA), grant no. PD75660.